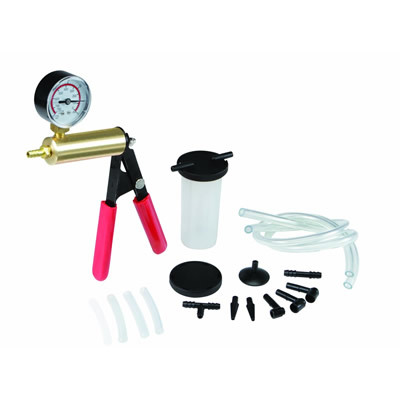 This Vacuum Pump can be used in several ways. Its primary use is for bleeding brakes, but it can be used for emptying Master Cylinders prior to removal, or when replacing the fluid. Will remove Oil and Coolant from sections of the engine when disassembling where no drainage is present.